The Streetwise 4,000,000 mini stun baton is only 10.5 inches long so it is easy to handle but it packs a powerful punch. 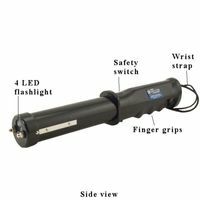 The Streetwise 4,000,000 mini stun baton has a bright 4 LED light to serve as a flashlight for nighttime safety. It is rechargeable, so no batteries are required. (recharging cord is included). To prevent accidental discharge, two levels of safety are built in: first the switch has to be turned on and then the trigger depressed. 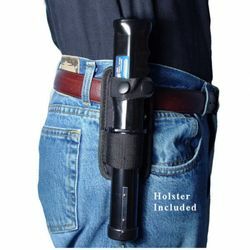 It comes with a holster with belt loop for easy carrying. 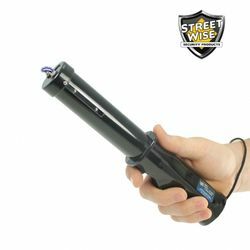 Streetwise stun batons are the highest quality brand available and come with a lifetime warranty.